The Northwest is beginning to stir, however. 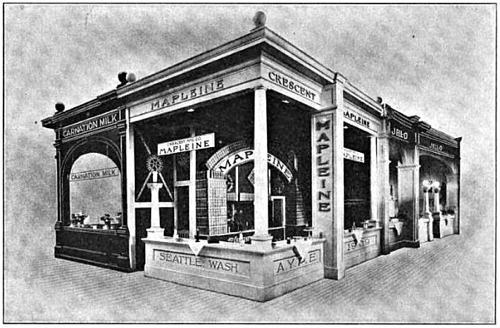 The Crescent Manufacturing Company changed the needle on the victrola when it demonstrated that Mapleine was desired by national retailers as soon as they learned of it through the national advertising campaigns started twelve years ago. 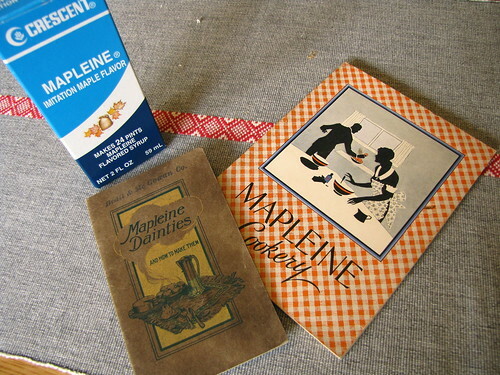 In 1910 Mapleine advertisements appeared in Good Housekeeping, The Designer, Women’s Home Companion, Ladies’ Home Journal, and Ladies World. Carnation Milk used a loud toned needle, and became a national product about the same time. — “Advertising Matters,” The Washington Newspaper, May 1923. In Part 1 of our series about Mapleine, I gave you some of the background of the product and the Crescent Manufacturing Company’s battle with the US government over labeling. 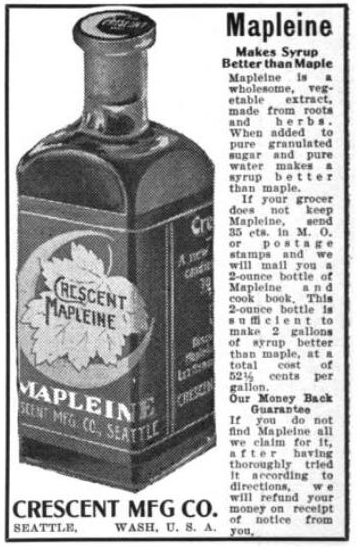 After they made a deal with the Feds that allowed them to keep using the name Mapleine, there was no holding them back. 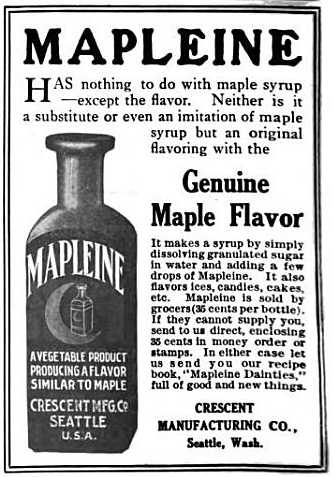 As the above quote indicates, they started advertising nationally, and Mapleine took off. The first part of the 20th century saw two World Wars and a Great Depression. 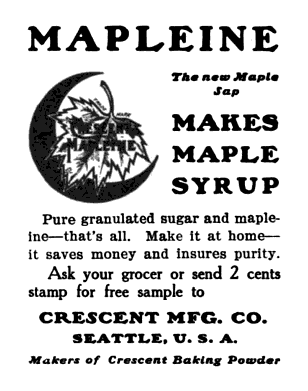 A product that allowed homemakers, campers, and all other maple fans to make syrup that tasted good but was much cheaper than true maple was perfect for the times, and Crescent made darned sure everyone knew it. 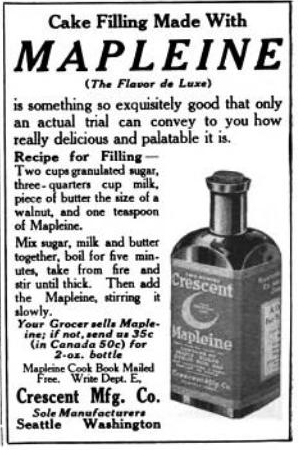 In the early 1910s Mapleine was promoted as “The Flavor De Luxe.” Ads, then and later, often featured recipes. Here’s a 1912 ad from Literary Digest with a simple recipe for cake filling. Take from fire and stir until thick. Then add the Mapleine, stirring it slowly.